The weekend is near and we are especially excited because…. it’s Super Bowl Sunday! Beyond the commercials and the delicious snacks, we are excited to take time to hang out with the ones we love and a chance to wear a fresh new outfit. 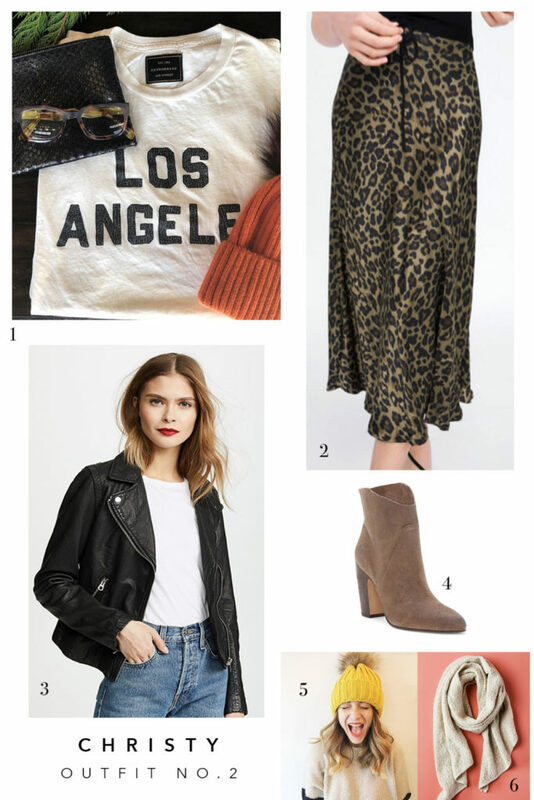 From cozy house parties to venturing out to a bar/restaurant to watch the game, here’s what we will be wearing this weekend. We will be doing the Super Bowl with a few friends and family…. so extra cozy, house party is our style. We’ll be cheering for the New England Patriots. Why? Because my son thinks that Tom Brady is a super star.. and why not? So our family will be cheering for the red/white/ & blue. And I’m the gal who truly has no clue what’s happening in the world of sports (except for basketball…my husband is obsessed). When it comes to football hangouts like Super Bowl Sunday, I’m coming for a good social hang. I tend to error more on sporty chic, because it’s comfy and also a nice change of pace from my usual everyday style! We’ll be hanging out with family for a bit on Sunday, which means we’ll be out and about. 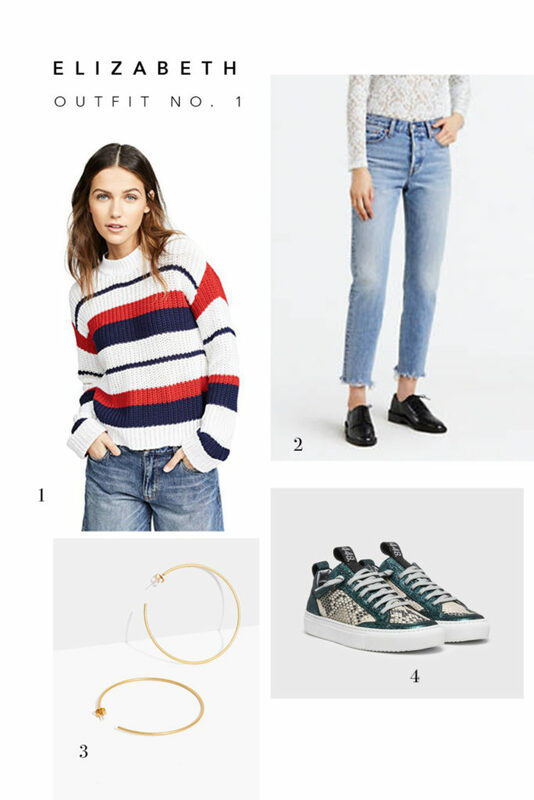 I love the idea of this sporty denim from Madewell paired with a classic turtleneck and a cute moto jacket (this one has a hood…woot woot). 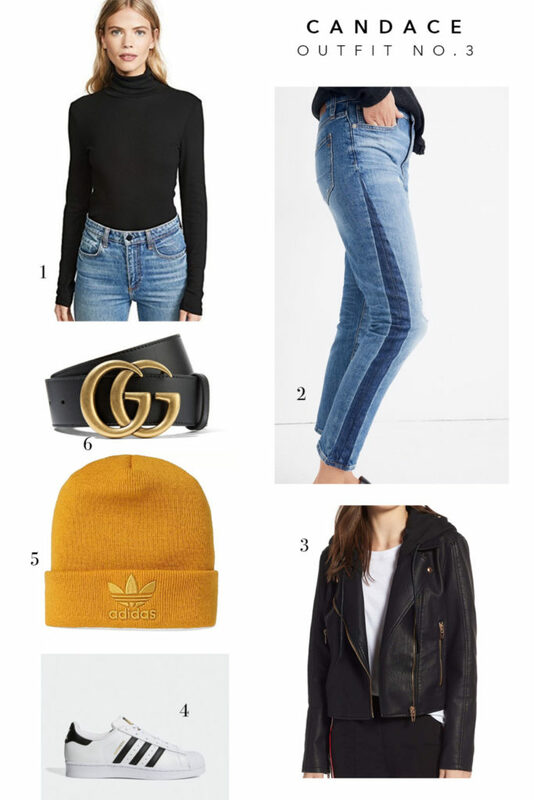 To finish it off, I’m definitely going to add my favorite statement belt, my go-to sneaker and a cute beanie…I like yellow…so technically I think this means I am rooting for the Rams!